What a confusing beginning to the new school year here! In October last year Tanzania elected a new president, one of whose promises was to abolish school fees. Being a man of his word, he proceeded to do so leaving schools unable to meet the costs of opening for the new year. In the beginning this instruction was also unclear. Did parents no longer have to contribute anything, or just school fees? Traditionally parents were asked for contributions which included school fees. The issue was resolved amicably by all whereby parents would continue to make contributions but only for food, as well as students’ stationery provisions (and school uniforms, of course). This was good news and well-received by the population. However, until the issue was resolved, schools continued to open but without the ability to pay the lunch bills! The contributions from ABCDreams (UK) therefore, helped the 4 schools that we support to get started! So a big thank you to all donors this year. Your donations were gratefully received. We ended Q4 on a high last year with a very successful school uniform campaign and the start of construction of a new kitchen at ARI Primary school. It was good to see, as I went back to UK for Christmas that the kitchen was finished except for a few finishing touches. It was hoped that they could open the kitchen for the new year. 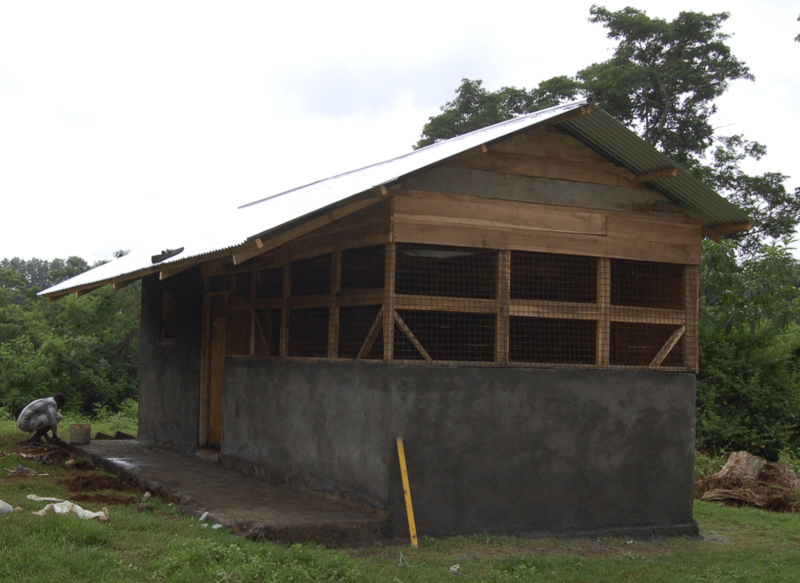 One of my hopes had been to raise enough money to build some fuel-efficient cookers as well. It seemed inappropriate to use the new kitchen but with the old 3-stone cooking technique, which was both extravagant and dangerous for the cook. I believe the headteacher took it as read that we would have the new stoves. She didn’t understand that I would have to raise the funds first! In comes the Morden Rotary Club! with a donation this year of £500. 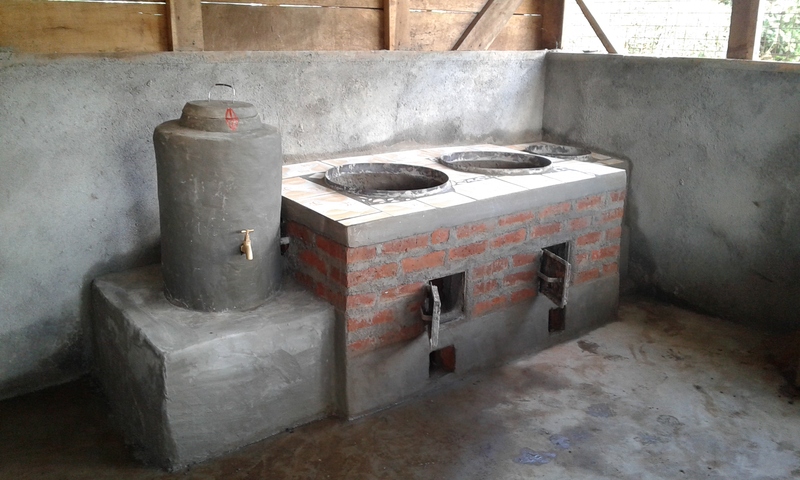 I was not only able to put finishing touches on the kitchen but to also have a fuel-efficient cooker installed. I reminded all and sundry that it’s the people of Morden and the donors from around the world that we have to thank. And finally, a very fulfilling occasion for all the village in February this year. Having transported about 25 pairs of used specs donated by my friends at Morden Rotary Club and seen the success this had in the village, I transported a further 100+ collected from various points around Morden. 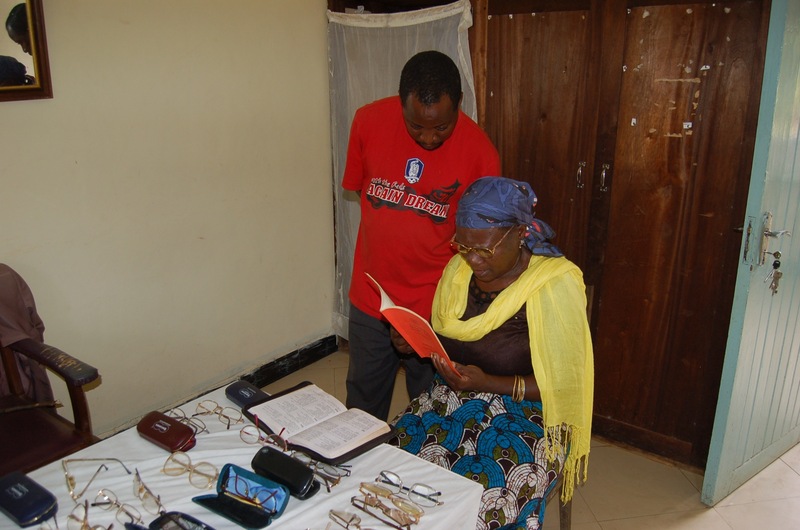 The church pastor and I set up a clinic and with his assistant we donated all the specs with about 35 people still waiting outside after we finished! One beautiful comment came from the pastor later saying that although this was a church-based clinic, both Christian and Muslim members of the community were welcomed. Pastor’s assistant and I worked through from 9am until 2 with 99% of people walking away happy. 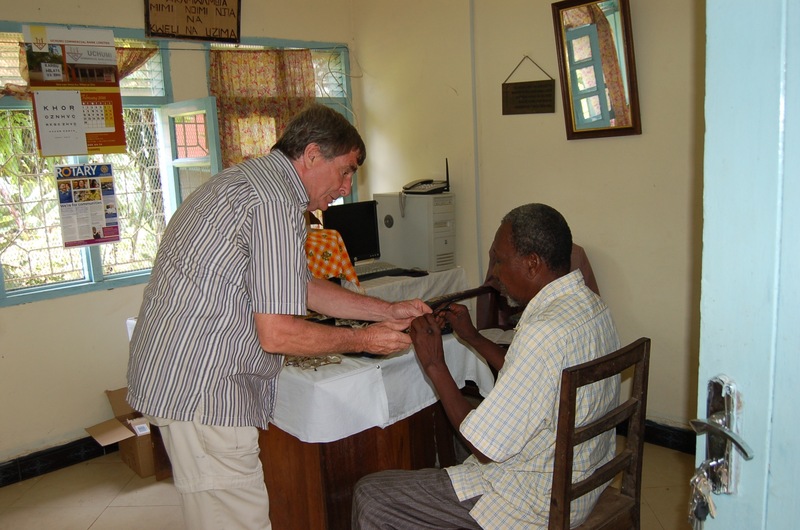 There were 1 or 2 whose sight was so severely affected that we couldn’t meet their needs. But to see people walking away who previously were unable to read a newspaper but who now could read a passage from a sample book we had was wonderful. That day felt really good! We hope now that we may be able to fulfil the needs of those 35 who were turned away. Happy Easter everyone. what an uplifting post John. Great work all around and thanks to the folks in the UK.